Events continue at speed all across the CBA North region. 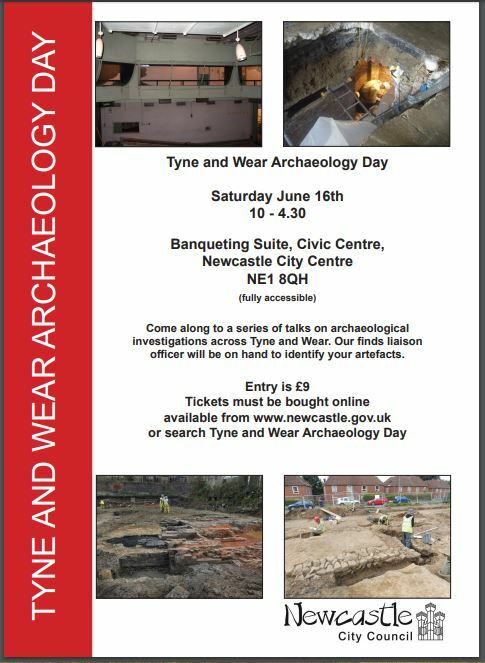 Tonight sees the Society of Antiquaries of Newcastle’s lecture on Medieval manuscripts whilst you’ll need to be quick to book by the end of this week for the Lancaster University Archaeology Forum for the first March weekend if your interests are more in the northwest of our extensive region. We, like those manuscripts, also aim to illuminate you. In our case of what is happening across the North coming up soon. 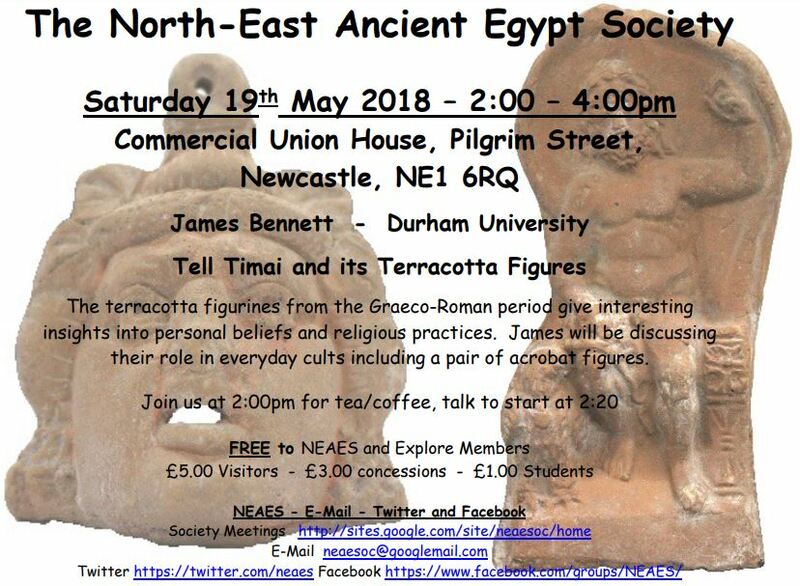 Next week, also coming at speed, covers the end of February and start of March means events of the Teesside Archaeological Society at the start of the week, the Till Valley Archaeological Society mid-week and also of the Architectural and Archaeological Society of Durham and Northumberland in the weekend as well as the Forum just mentioned. We have details of each and all below for you to take your pick in attending. Enjoy! This year’s conference includes a number of talks that may be of interest to CBA North members interested in Cumbrian archaeology. These span the archaeological periods of Roman and Medieval on particular sites across Cumbria (Maryport’s temples and Furness Abbey, in further sites in the Duddon Valley and on an early archaeologist of the Urswick area) as well as talks on drones, LIDAR and the Portable Antiquities Scheme in long-standing projects spanning the CBA North and North West regions. You will need to be quick to book. 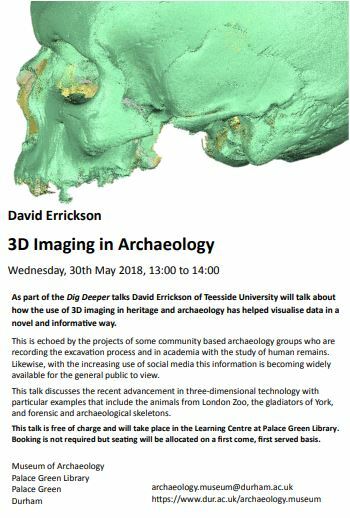 Details of the day, including further talks, can be found online here with links to the booking system and a map for the venue itself. 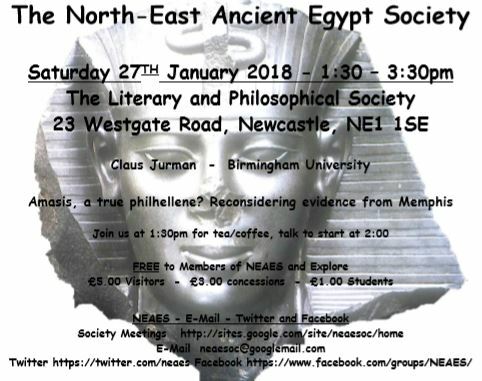 The mystery of our earlier email ‘The Varied Landscapes Of The CBA North Region (And Beyond)’ sent to you on the 12 February is now explained by our group member the Teesside Archaeological Society as explained by David Errickson their Chair. 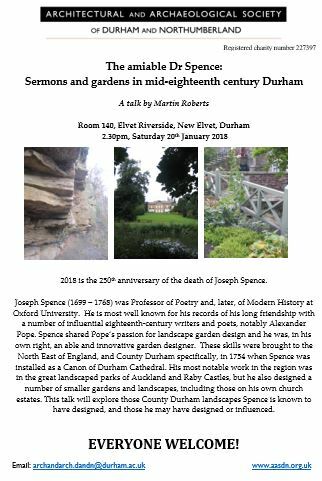 The next lecture, as usual the last Tuesday of the month – the 28 February – at Stockton Library at 7.30 pm, is Death and Discovery. 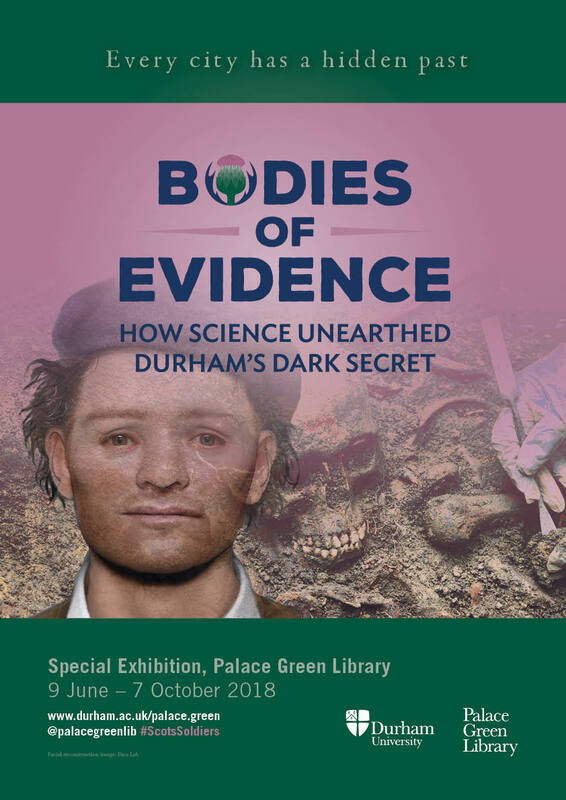 This lecture will be by David Dance, now a freelance archaeologist, who will discuss the use of archaeology in forensic investigation, exploring the origins of forensic archaeology and its application in criminal investigations of missing or suspected dead persons, with a practical demonstration of forensic archaeology in action. 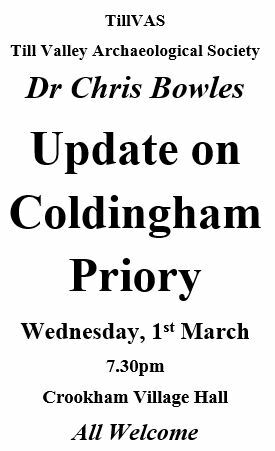 Further details of the group, and of the speaker, can be found online through the links of their website, accessible through our own webpage in our Local Societies and Groups entry. Later that week is the next TillVAS lecture. 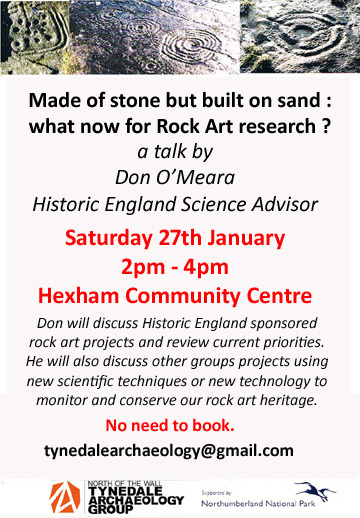 With thanks to Maureen Charlton, their Secretary, details are given in their poster below. 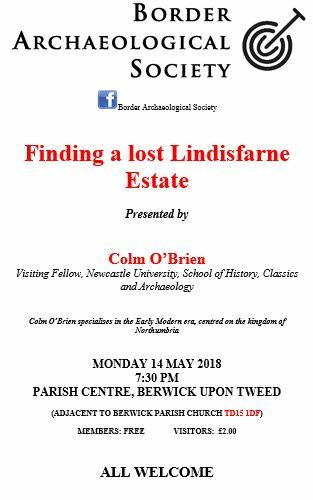 Whilst Coldingham might be outside the already large CBA North region there are many Early Medieval and Medieval connections of the various religious houses here to those within CBA North which this lecture might well cover. (If one looks at the past then suggestions have been made to include the south of Scotland with the north of England at times – not just in the 1470s, but also in the 1970s a suggestion was made to increase the CBA North region!). Our email of the 12 February included notice of an open day in Yorkshire following investigations of a Roman road linking with our region. 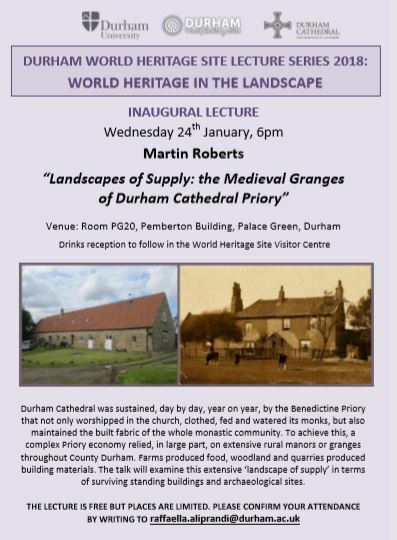 Belinda Burke, Secretary of the Architectural and Archaeological Society of Durham and Northumberland, another of our group members, sends us details of their next lecture which looks at another site connected by a Roman road – this time Dere Street – to our region. The 4 March, as we have covered today and in previous emails to you, will be a busy day – the Peregrini (covered in the 12 February email) and Lancaster University Conferences at opposite sides and ends of the region, in addition to the lecture immediately above, as well as CBA North Committee meeting in the morning. It is one of those days with lots clashing! The agenda for the CBA North Committee will be finalising details for our own events with the dates we have already sent you as 29 April and 20 May – hopefully no clashes for those with anyone else, but if you don’t tell us we don’t necessarily know. Save those dates if you can! 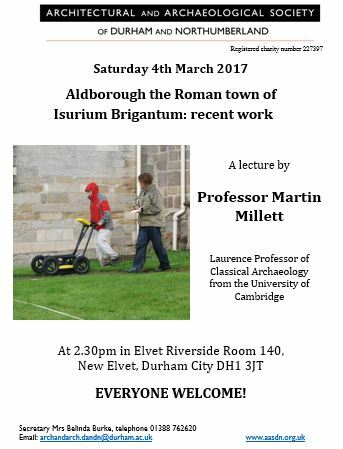 This entry was posted in E Newsletter and tagged AASDN, Archaeology, conference, Early Medieval, forensics, geophysics, Medieval, North Yorkshire, Roman, Teesside Archaeological Society, TillVAS on February 22, 2017 by cbanorth.